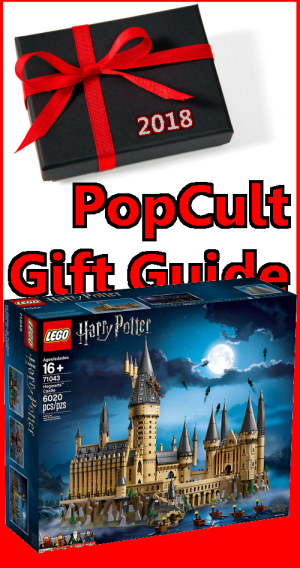 Our first BIG TICKET DAY choice for the 2018 PopCult Gift Guide is the perfect gift for the obsessive (and maybe compulsive) Harry Potter fan on your shopping list. 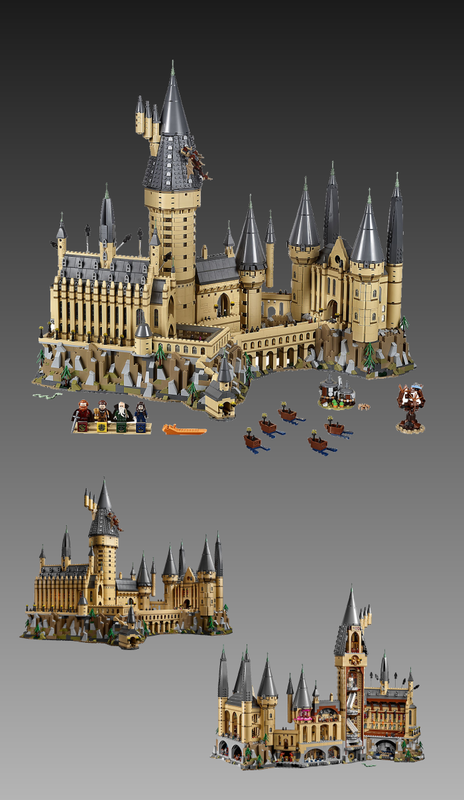 LEGO has created a new and comprehensive building set of Hogwarts Castle. It’s gigantic. It will take a long, long time to assemble, and it’s going to set you back about five hundred bucks. Your PopCulteer has thus far remained immune to the appeal of the boy wizard, but even I was mightily impressed when I saw this set assembled at the LEGO Store in Chicago. It’s huge and epic and I can’t imagine any Harry Potter fan not wanting to have it. “Includes 4 minifigures: Godric Gryffindor, Helga Hufflepuff, Salazar Slytherin and Rowena Ravenclaw, with a buildable minifigure display stand. Also features 27 microfigures: Harry Potter, Ron Weasley, Hermione Granger, Draco Malfoy, Albus Dumbledore, Professor Snape, Professor McGonagall, Remus Lupin, Professor Dolores Umbridge, Argus Filch, Lord Voldemort, Bellatrix Lestrange, 3 students from each of the 4 houses, 2 chess pieces and the Architect of Hogwarts statue and 5 Dementors, plus Aragog the spider and the Basilisk figures, and a buildable Hungarian Horntail dragon. Hagrid’s hut features Aragog the spider and buildable pumpkins.The Whomping Willow includes the buildable blue Flying Ford Anglia car in its spinning branches. Also includes 5 buildable boats. Take a seat in the Great Hall and feast with the Hogwarts professors and students! Sneak your way into the Chamber of Secrets through the secret entrance and face the Basilisk! Attend a Defence Against the Dark Arts class to learn how to protect yourself from dark magic! Climb the moving staircase! Study for your Ordinary Wizarding Level exams in the library. Accessory elements include the Sword of Gryffindor, Helga Hufflepuff´s cup, wands, potions, house banners, flames, a cauldron and 2 magnifying glasses. Microfigure accessories include 2 chess statues and the Architect of Hogwarts statue. Your best bet is to order Hogwarts Castle directly from LEGO. Other retailers are selling this set, but at a higher price. Get this for the Harry Potter fan on your gift list and they’ll never know that you’re a Womble…or a Muggle…or whatever.